Kristen has been totally blind since birth. 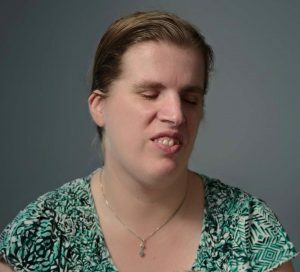 As a native braille reader and experienced TVI, Kristen is a highly qualified braille instructor who teaches students from K-12. Kristen earned a B.A. in English with minors in German and secondary education. She holds a M.A. in gifted education and a M.Ed. in teaching students who are blind or visually impaired. She worked as a TVI at West Virginia School for the Blind. Kristen also has an MFA in writing fiction. She is currently the curriculum and content editor for Learning Ally College Success Program and is the author of several published nonfiction articles and two short fiction books. Kristen lives in Highland Park with her husband and two young sons.